Women who have a history of dieting. These are the women who have tried everything and come to Dukan in desperation hoping that there is a way for them to lose weight. People who come from families with a long history of obesity. Women who have overweight children as well as mothers, fathers and aunts and uncles who are obese. Men and women who are very obese. 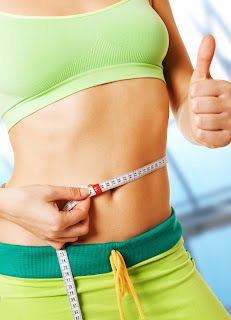 Losing weight when you are hugely over weight can seem like trying to do the impossible. People who live a very sedentary lifestyle. Most of us lead more a sedentary life than perhaps our recent ancestors did. We drive to work, sit down all day at the office before returning home and hitting the couch in front of the TV. Now a weight loss plateau or 'stagnation' period is a normal part of any weight loss program. As far as I am aware, it is your body's way of coping with what it sees as a shortage of food. It is perfectly possible to wait the situation out, just stick to the weight loss plan (whether that is the Dukan diet or regular calorie counting) and you should get past it and go back to losing weight. This is easier said than done however! But you do not have to just put up with the plateau. Dr Dukan has the answer and it is as simple as this: exercise. "A body that has started to resist dieting cuts down its energy consumption and extracts every last calorie from its food intake, blocking the weight loss long enough for the diet to fail. But if when the situation is blocked the forces present are in equilibrium, like two sides of a pair of scales, and there is a sudden dose of 'prescribed exercise' this confuses the body breaking the stalemate." In the Official Dukan Diet Book Dr. Dukan then gives his easy 6 step plan to breaking the stagnation period and quickly getting over the weight loss plateau period. Those of you not too excited about exercise need not be too worried. The prescribed exercise is simply walking!